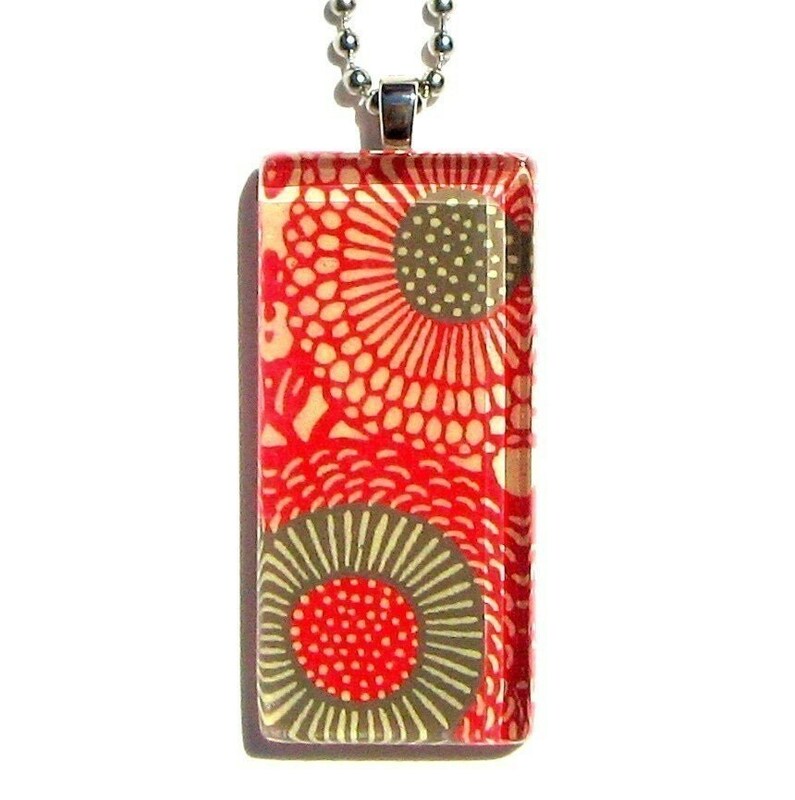 GAMIWORKS is an etsy shop that that makes beautiful jewelry as well as houseware items all inspired by Japanese chiyogami. I know this is not kitchen related but I have to show you a few of her pendants because I want them around my neck this very instant. Beautiful huh? Well her houseware items are also totally cute. GAMIWORKS is giving away a set of mini salt-n-pepper shakers and you get to choose which one you like. These are the ones I like the best. Which one do you like? Just visit her site HERE and look over the mini s-n-p shakers. Come back and leave a comment by next Tuesday September 23rd telling us which one you want. They all have the same name so leave the i.d number of the one you like. I'll pick a comment at random. If your comment is chosen you'll get the s-n-p shaker you wrote about in your comment. One comment per person. If you want an extra chance to win you can write an additional comment for any of the things below. I like the stainless steel and Japanese chiyogami salt-n-pepper shakers. mini s-n-p shakers -stainless steel and chiyogami is my favourite. I think maybe these are my fave: http://www.etsy.com/view_listing.php?listing_id=14871026 But I don't know, I LOVE them all! Now I've got a new favorite seller in Etsy. Sigh. I am beyond amazed at the simplistic elegance of these items. Since I was 5-years-old I have been in love with art and papers from the Orient. 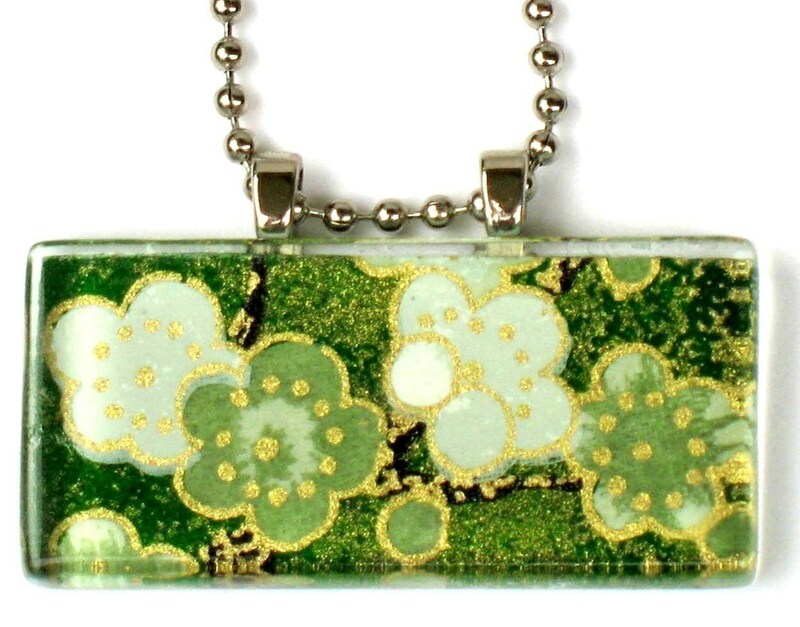 The necklaces, salt and pepper shakers and glass coasters are beautiful pieces of art. I must come back and get some. My favorite mini salt and pepper set is the ID=14871206. They are perfect for my home. These are beautiful. My favorite is the http://www.etsy.com/view_listing.php?listing_id=12071550. The Japanese Chiyogami Salt n Pepper shakers are my favorite. I like the mini s-n-p shakers - stainless steel and Japanese chiyogami. Soo pretty! OoOO! I want the Japanese chiyogami that are mostly cream/off white! very pretty! My thoughts are with the sponsor as well, living in Houston right now must not be easy! I hope she and family are doing ok... and hoping they get their electricty restored soon! My favorite mini S&P shakers is the Chiyogami style!! Thank you for a great (and unique) giveaway!! I like the ones you posted at the top with mostly cream color on them. Very cute. they would have much use in my kitchen! These are just so adorable. I love the mini Japanese chiyogami the best. Thank you so much for this giveaway. 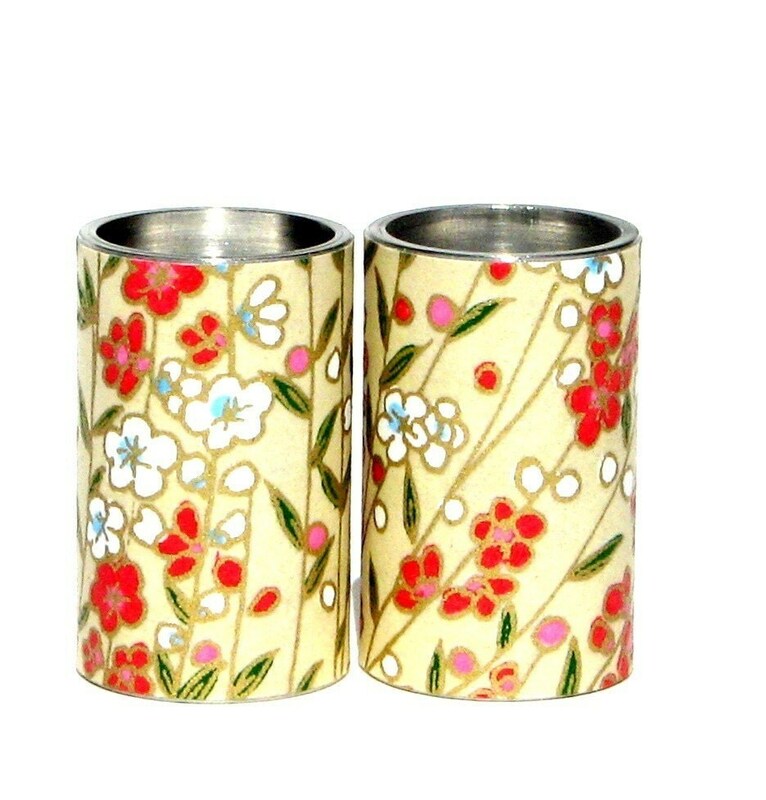 These: stainless steel and Japanese chiyogami are just too beautiful to pass up!! I like the Japanese chyogami. I think that's the ID you mean. They're really pretty! 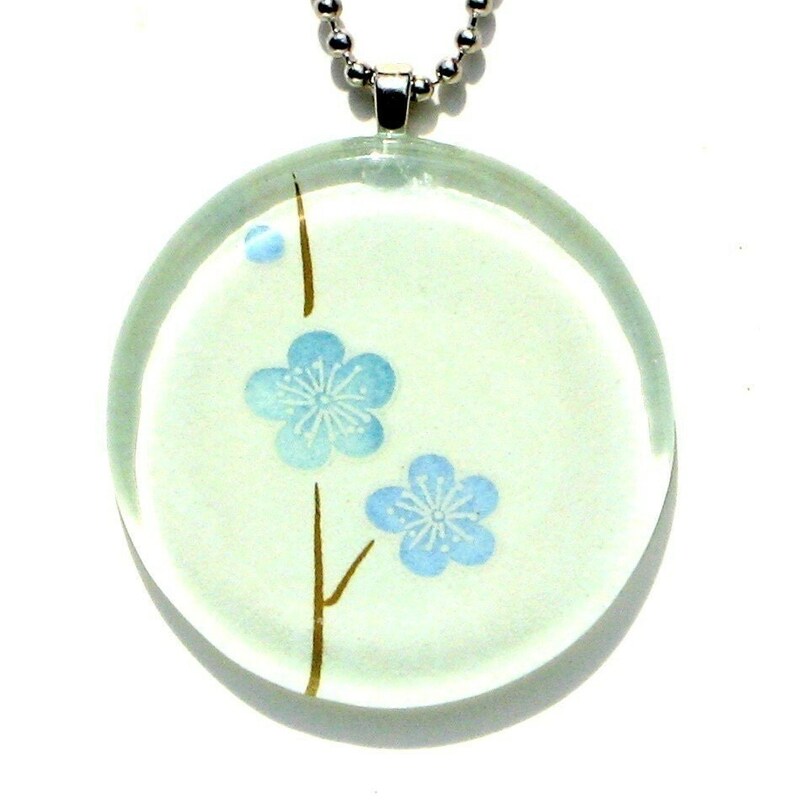 I really like the set with the gray background and white flowers (id=14872009). These are very attractive and different. I love the gray with the id #14872009. beautiful work! I like the "mini s-n-p shakers -stainless steel and chiyogami". I love Japanese designs. My favorite is ID:14872009, the red white and black one. These are all so pretty. My favorite is the chiyogami mini s-n-p shakers. These are just so elegant. Thanks for the chance to win. I like all of them. I would be happy with any of them. I like the id=12071550. They are the black background with the blue flowers and red and gold. The Chiyogami are my favorite. I would choose the chiyogami design. mini s-n-p shakers - stainless steel and chiyogami are my favorites. Thanks for your generosity! Mini s-n-p shakers - stainless steel and Japanese chiyogami with the red background are my favorite. Thanks for the contest. I like the brown and blue set best. I like Listing # 13754003 :) *Thanks* for the giveaway! I would choose the stainless steel ones! I adore the mini s-n-p shakers -stainless steel and chiyogami. mini s-n-p shakers - stainless steel and chiyogami are my favorite! I'd love to win! Cute cute! My favorite item is the mini s-n-p shakers - stainless steel and chiyogami. Oh, the stainless steel and chiyogami shakers are pretty enough to leave out all the time! Wow. These are so beautiful and elegant. I collect salt and pepper shakers. So I say, "Goody, Goody" to this contest! My favorite is list #14872009. Those are so cute! I want to win!! I must have the red ones with the big flowers!!! Am I disqualified if I don't go to the store for the numbers. It looks a little too tempting and I'm on a shopping freeze. Good thing I'm stocked on glitter!! I laugh so hard when I read your comment!! how perfect would it be to have the mini s-n-p shakers - stainless steel and chiyogami at your office desk? neat. Here is the id number of the ones I picked out. id=13764809 They have a yellow background and my dining room is a buttery yellow color. I often have red tablecloths on my table so this set would be perfect. Thanks for the giveaway. I'm enjoying your site. Hi, I just subscribed to your blog, thanks for the second entry in the giveaway. My favorites are I.D. Listing # 14359551. Nice site with great products and prices. I like the Japanese chiyogami shakers the most. I liked the stainless steel and chiyogami as well. The color scheme is awesome. I love the stainless steel and Japanese chiyogami salt and pepper shakers. Thank you so much! The stainless steel and Japanese chiyogami are my favorites. I like these the best. So cute. I am now following you on Twitter and I have blogged about this in my contest post. I would love to win these. They are gorgeous. I collect s n p shakers. I love my collection, mostly from the 20's. 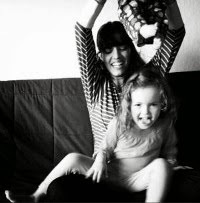 I love her website. I'm ordering pendants for Christmas presents. Glad I saw your site or I might not have found hers. Thanks! i love the stainless steel and chiyogami ones! Oh my gosh, everything is SO pretty. The Japanese chiyogami Salt n pepper shakers immediately caught my eye. After visiting her site and seeing the news about the hurricane, I am officially worried. I like the same ones you do in the second picture. The red background with cream, blue and lime. I love the Salt and Pepper Shaker...beautiful colors. Would be lovely in my Asian-themed abode. Thank you. I like the stainless steel and chiyogami best. Good luck with the electricity. I know how it is ... it stops being an adventure after the first 12 hours. I love the mini shakers! The patterns are gorgeous. My favorite set is the Japanese chiyogami pattern! I like the stainless steel and chiyogami pattern. I like the mini s-n-p shakers-stainless steel & Japanese chiyogami. I like Listing # 12071550 of the mini salt and pepper shakers. The Japanese Chiyogami ones are cool. Without question the stainless steel and chiyogami pattern! Oh, those are so pretty! I think # is my favorite, but really, they're all lovely. They are all nice, but my favorite are the ones in stainless steel and Japanese chiyogami. Thank you for the giveaway! I like the Japanese chiyogami. They would brighten up my dull kitchen. I love the Japanese Chiyogami Salt n Pepper shakers. I like the Stainless steel and Japanese chiyogami. They'd match nicely in my kitchen. mini s-n-p shakers - stainless steel and Japanese chiyogami are my favorite! My favorite is Listing # 12071550!! I love these s&p shakers... very pretty. I really like the stainless steel and Japanese chiyogami shakers. Thanks! I love the chiyogami shakers with this id number: Listing # 14871026. Very, very pretty! My favorite is the Listing # 14872009. My favorite item is the chiyogami shakers with this id number: Listing # 14871026. I absolutely love the stainless steel and Japanese chiyogami salt-n-pepper shakers. mini s-n-p shakers - stainless steel and chiyogami. Thank you!! These are just precious!! I really like #14871026. I also love the lighter covers - great gift idea!! I love Listing # 14872009. I'm definitely bookmarking the etsy shop, too! I love this type of design! i will have to check out the etsy shop for sure! Listing # 14872009 is my fav! Thanks for the contest! my favorite is the Listing # 14872009. thanks! Listing # 13754003 is my favorite. The mini s-n-p shakers - stainless steel and Japanese chiyogami are cool! I would love to win! Thanks so much for the giveaway! My favorite is the mini s-n-p shakers - stainless steel and chiyogami id=14871026. The colors of the flowers make them easier to distinguish between the salt and pepper. Thanks for the opportunity to participate in this giveaway! I love this mini s-n-p shakers -stainless steel and chiyogami. Love the mini s-n-p shakers -stainless steel and chiyogami , so cute! I think I'm doing this right: Listing # 14871026. So cute! 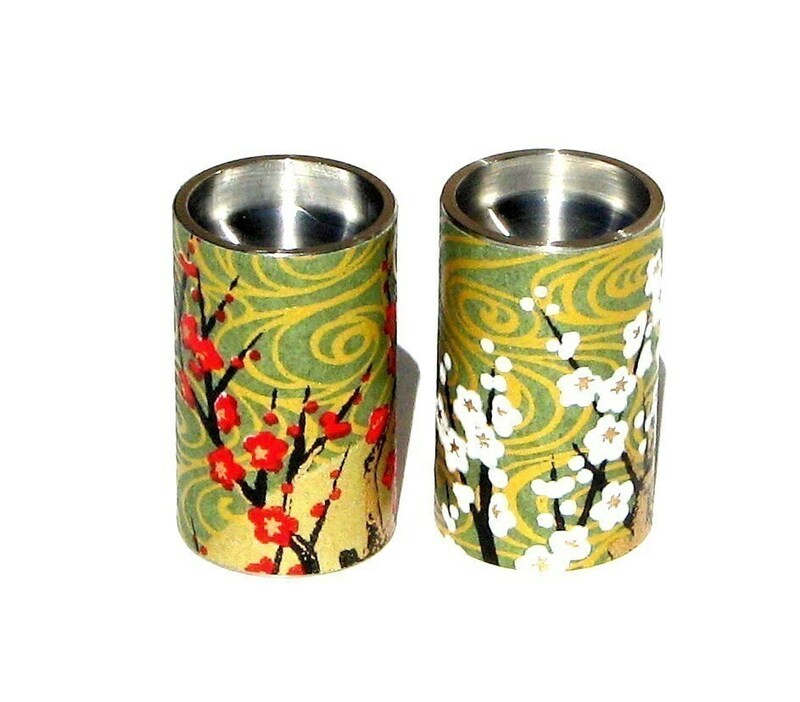 I like the mini s-n-p shakers -stainless steel and chiyogami with the cherry blossom design. Thanks for the contest. 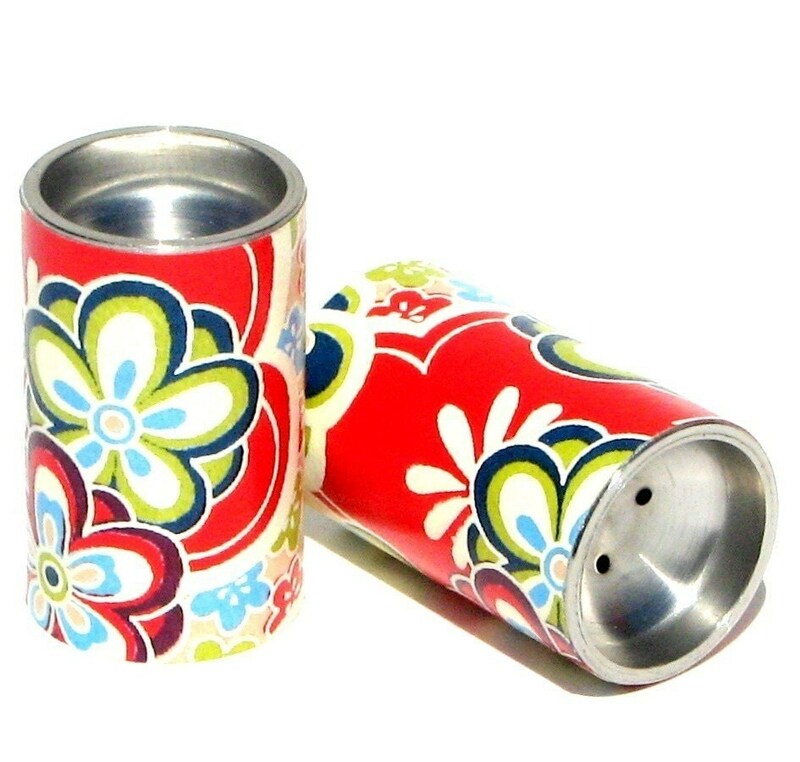 I love the stainless steel and Japanese chiyogami mini s-n-p shakers, listing #13764809.